In late-September 2017, GoPro released their new HERO6 Black model. It comes out only a year after its predecessor, the HERO5 Black. If you're trying to decide whether to get the HERO6 Black or HERO5 Black, here's a detailed breakdown of how they compare. They look the same. Inside is a new processor that GoPro developed in-house, but the emphasis appears to have been migrating to the new processor rather than introducing new features. 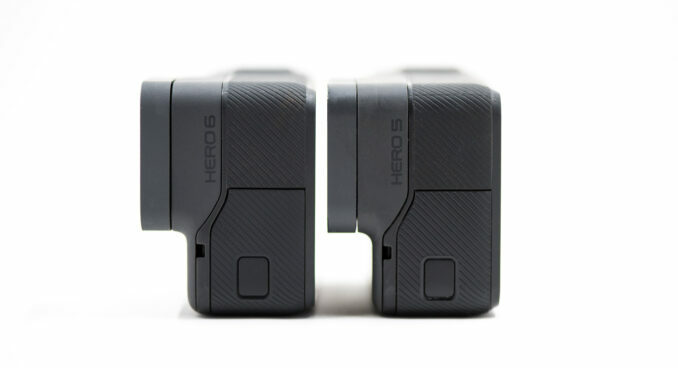 The HERO6 Black and HERO5 Black share the same casing. Same size, same shape, same matte dark gray finish, same buttons and doors and ports. At left: GoPro HERO6 Black. At right: HERO5 Black. So you really can't tell the difference between the two models from the outside. There are some tiny tells: things like a small arrow on the lock lever of the new frame housing and some subtle visual tweaks to the user interface for the touchscreen. The key feature of the HERO6/5 case design is that the camera's own case is also the housing. With the models up the HERO4, you needed a separate housing if you wanted it to be waterproof. With the HERO5 Black, and now the HERO6 Black, the camera's own case is waterproof. They're rated to be waterproof down to 33 feet (10m) without a separate housing. If you're looking to take the camera deeper, say, for Scuba diving, you might want to add a Super Suit housing, which is a stronger, even more waterproof, dive housing. One factor to consider with the new case design is that, by itself, it has no way to use the GoPro mounting system--there's nowhere on the camera case itself to attach. So it comes with a Frame that doesn’t provide much in the way of extra protection, but it does add the mounting point on the bottom. The Frame is included in the box. Its dimensions are 2.6 x 1.8 x 1.4 inches (or 6.5 x 4.5 x 3.5 cm). By itself (without Frame or mounts), the camera weighs 4.2 ounces / 118 grams with a battery and memory card installed. 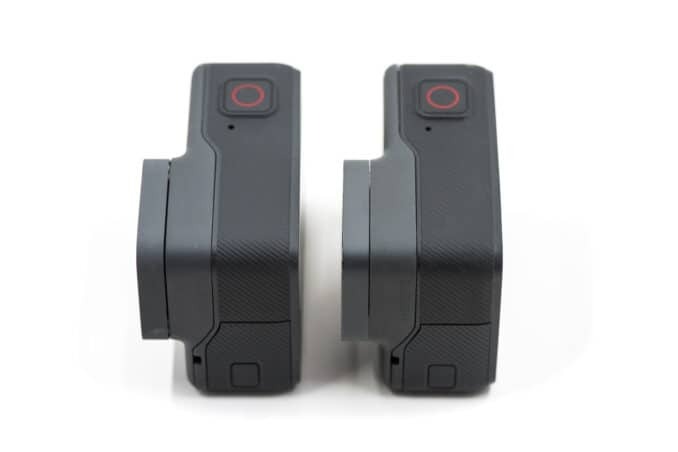 The two cameras are practically identical in terms of controls and interface. Both have the same buttons. The on-screen menus are essentially the same with only very subtle tweaks. And both connect to the Remo and Smart Remote and GoPro mobile app in the same ways. Both also offer the option of voice control; it works the same way on both cameras. There have been some minor tweaks to the user interface of the menu system. At left: GoPro HERO6 Black. At right: HERO5 Black. This is an area where there's been no improvement, unfortunately. I've run them side-by-side in identical shooting modes and found them to be essentially the same in their battery use. If you're lucky, you'll get up to two hours of shooting, depending on what features you turn off and the shooting conditions. You'll get less if you're using features like wireless, previewing through the GoPro app, or GPS logging. Both use the same 1220mAh battery, so you can use your existing batteries. I've been mixing and matching them without any issues. The battery compartment and microSD slot. The doors have their own waterproof seals. The screen on the back is used for live view and playback and is also one of the methods for navigating the menus and settings. The screen is the same size and resolution on the two models. 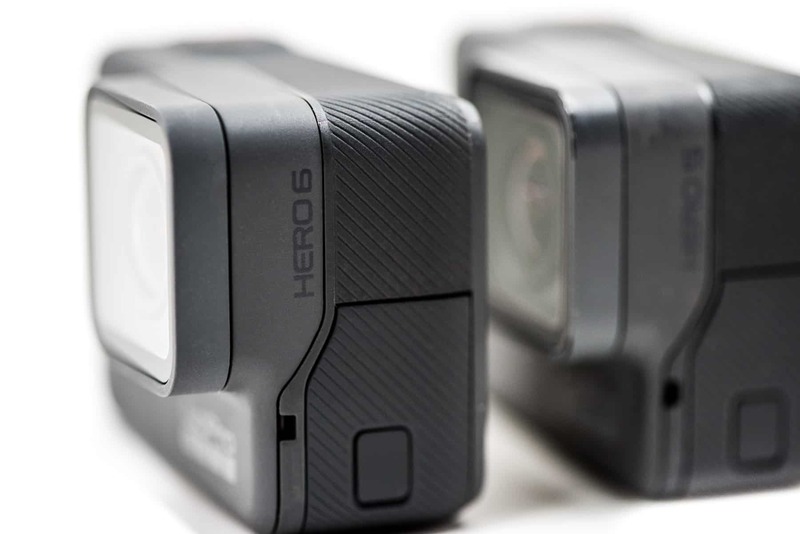 The new model has some subtle visual tweaks to the user interface and appears slightly brighter, but if you've used the HERO5 Black the new model will be instantly recognizable. The display on the new camera is a little brighter and slightly less contrasty for the preview than its predecessor. I've found that to be a good thing. Especially if your scene has dark areas in it, the effect of slightly less contrast is to boost the shadows and make it easier to see. It's certainly not a big thing, but I do think it's an improvement. The color balance of the new screen is also a little warmer. That is, it has more yellow and a little less blue than the older version. 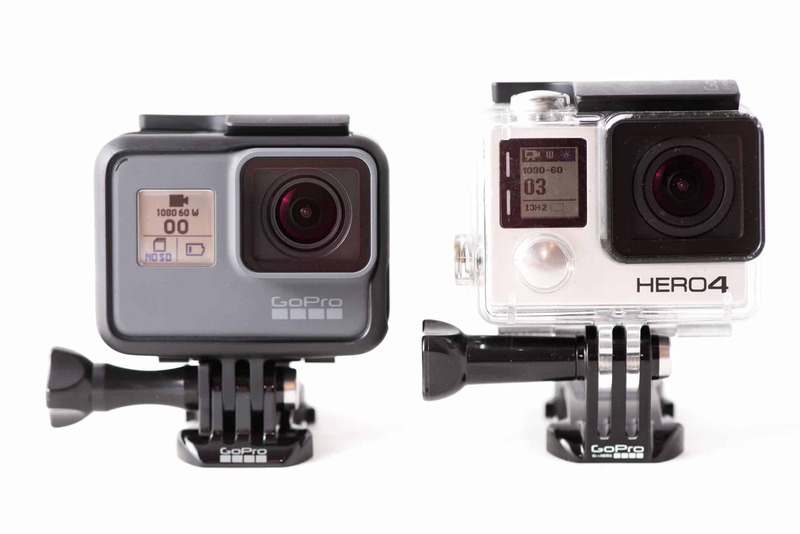 GoPros have always favored very cool (blue) colors, but the new one is probably closer to neutral and looks more natural. It's not something you really notice until you put them side by side, but I prefer the newer one. At the top end, the HERO6 Black adds new 4K60 and 1080p240 modes. These add faster frame rates. 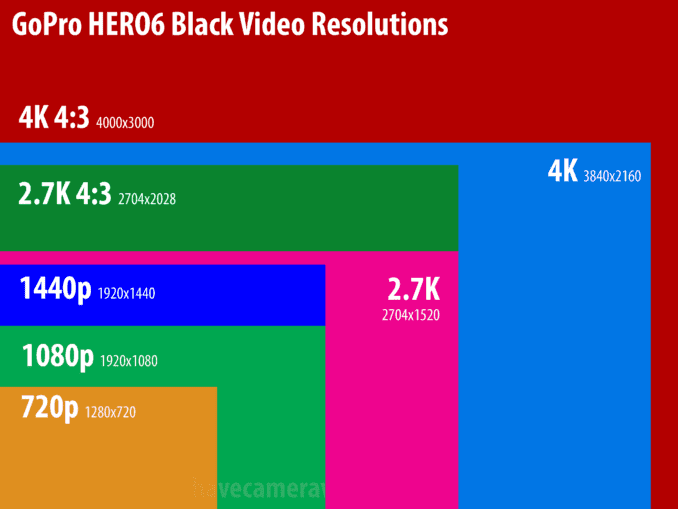 By comparison, the HERO5 Black's top modes are 4K30 and 1080p120. Beyond those two headline features, there's a lot of overlap in terms of video capabilities between the two models. But there are also some important differences. Sizes. The new camera adds some new modes at the top end and drops some at the lower end. The lowest video mode is now 720p60--there’s no 480p or 960p sizes that the HERO5 Black has. It also adds a new, larger format: 4K 4:3. This outputs video at 4000x3000. The regular 4K, which is the largest size on the HERO5 Black, is 3840x2160. Stabilization. The HERO5 range first included in-camera stabilization. The HERO6 Black also has it and, in my side-by-side testing, I've found it to be significantly better. I'm working on putting together some detailed side-by-side comparisons from real-world shooting. Fields of View. Both have the standard wide view that's available in all shooting modes as well as the Linear and Superview FOVs that are available in some modes. The HERO5 Black also has Narrow and Medium FOVs in some modes. Those have been removed and mostly replaced with a new zoom function. H.265 (HEVC). Both cameras produce video files in an MP4 container, but there are some differences about what goes in that container. On the HERO6 Black, the very top video modes are encoded with the newer H.265 (HEVC) codec that can give better quality for a given compression rate. All the other video modes are encoded with an older AVC codec that is much more widely compatible. Protune. 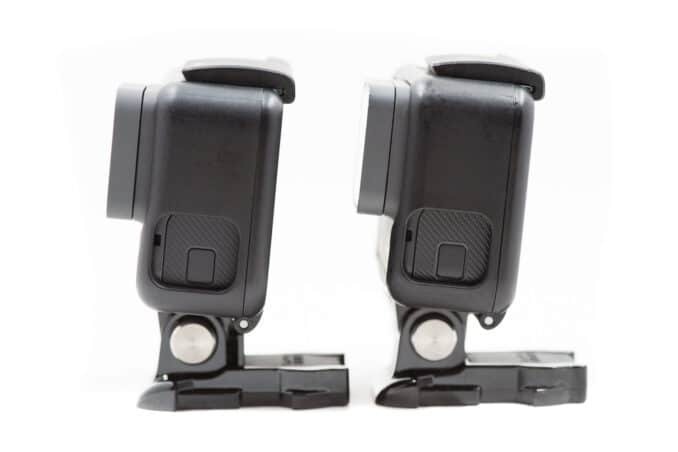 The Protune options for video are very similar between the two models. The HERO6 adds a few more manual white balance, shutter speed, and ISO settings. More. If you want more specifics, I've put together a more detailed breakdown of the HERO6 Black's video modes. Video Modes Compared. Here's a table showing what video modes are available on each camera. 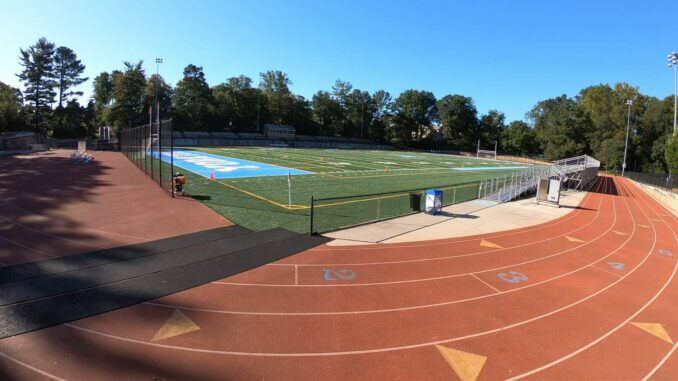 Overall, I've found the image quality of photos to be better in the HERO6 Black. The differences aren't huge, but the photos I've been getting out of the HERO6 Black are more natural, less contrasty, and have better detail throughout the tonal range. The results aren't the same as you get out of a larger stills cameras, but the HERO6 Black offers an incremental step in the right direction. Sensor. Both have 12MP sensors that produce images that are 4000 x 3000 pixels with an aspect ratio of 4:3. Lens. 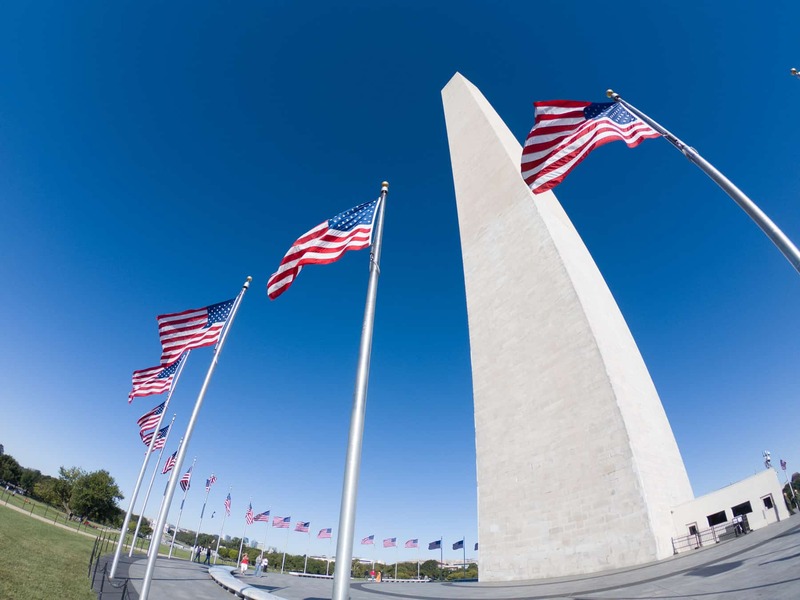 Both use the same lens that produces, by default, that distinctive fisheye look. It's a lens rated as a 3mm lens, equivalent to 15mm in the 35mm/full-frame format. RAW Format. 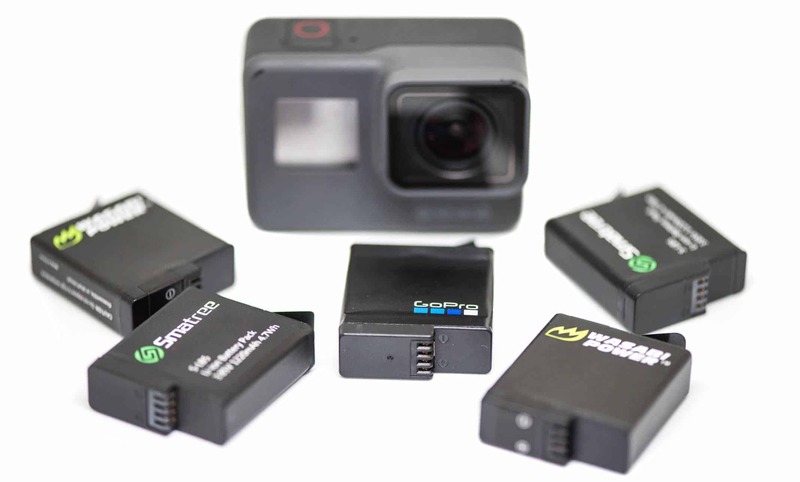 Both let you choose between shooting in RAW (GoPro's own .gpr format) or JPG. There are some functions, like burst mode, continuous mode, and HDR/WDR, that are limited to JPG. Protune. The Protune options are mostly identical. You can still do things like set an exposure compensation (plus or minus up to 2 stops), select a color mode, limit the automatic ISO range, and choose how aggressively to apply sharpening. A minor difference is that you can now choose up to ISO 3200 rather than being limited to ISO 1600. HDR. The HERO5 introduced a new photo mode to recover detail from shadows and highlights. GoPro called it WDR for wide dynamic range. The HERO6 Black takes that a step further by replacing WDR with a more traditionally named HDR, or high dynamic range. The HDR mode of the HERO6 Black is quite a bit more aggressive than WDR and recovers more detail in shadows and highlights. It often adds some saturation, but I've found it still looks more natural to my eyes than the HERO5 Black's WDR mode, which I always found produced somewhat muddy results. 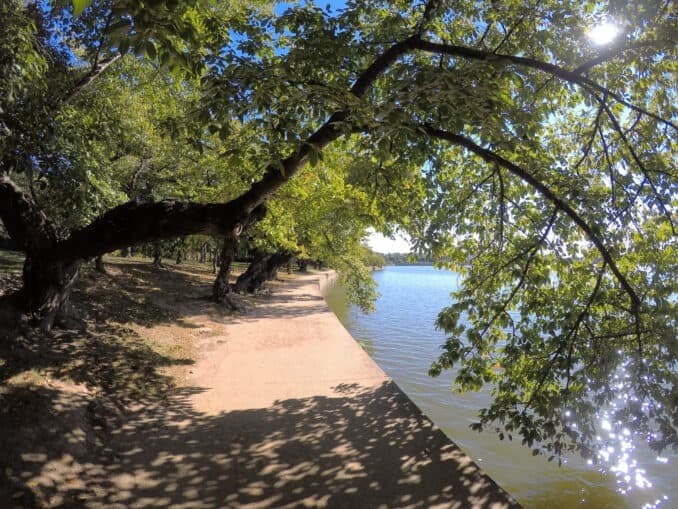 Here's an example of HDR from a HERO6 Black shot side-by-side with WDR from a HERO5 Black. I have more examples here. ISO 3200. The HERO6 Black extends the ISO range up to 3200 (from 1600 in the HERO5 Black). The image quality is still a bit mediocre at high ISOs, with grain, color shifts, and loss of detail, but the high-ISO image quality is still somewhat improved in the new model. Here are some examples at ISO 1600 and ISO 3200. More. I have a separate, detailed post on photo modes on the GoPro HERO6 Black. The HERO6 Black also has a new Auto Burst Mode setting that takes up to 30 frames in 1 second. The instruction manual doesn't do a good job of explaining what that means, so I've put together a more detailed explanation with examples. Both models offer two ways to create a time lapse. Timelapse Photo. The first is the traditional method that involves shooting a sequence of still images, downloading those images from the memory card, and stitching them together on your computer using software. The available intervals are the same in both cameras: 0.5, 1, 2, 5, 10, 30, and 60 seconds. Timelapse Video. You can also have the camera compile the video on the fly to create a finished mp4 timelapse video. This saves a lot of extra steps and time, but for that extra convenience you do give up some control and flexibility. It offers the same intervals as the time lapse photo method. As for resolution, they can both output timelapse videos in 4K, 2.7K 4:3, and 1080 formats. 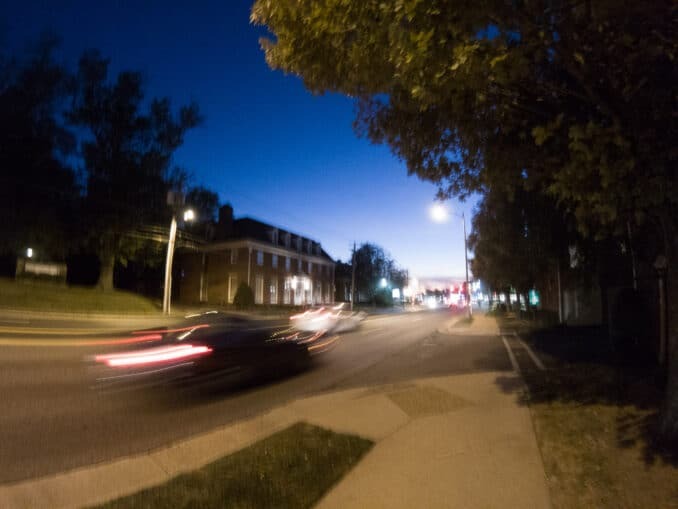 Night Lapse Photo. 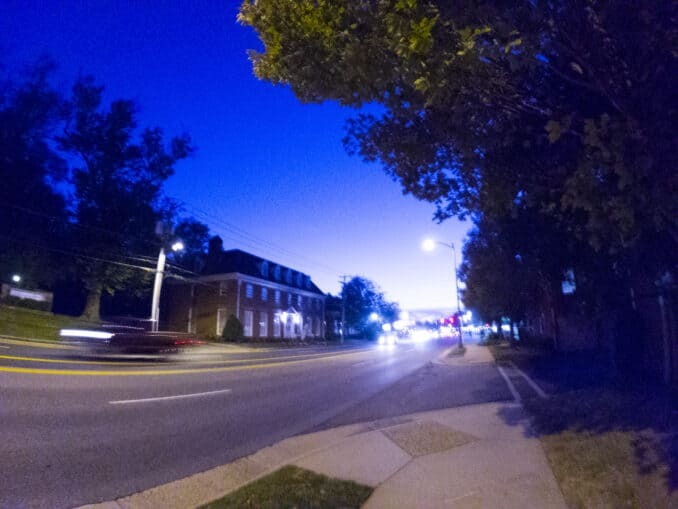 Both the old and new models have the Night Lapse Photo mode that provides extra interval and shutter speed options better suited to low-light shooting. The audio features of both models are essentially the same. Both have built-in mics that can capture sound on-board. Both are compatible with external microphones (with a mic adapter, sold separately). a raw audio track option that creates a higher-quality WAV file separate to but alongside the video file. With the raw audio track, you have the option of low, medium, or high in-camera processing. Both also allow a line-in mode, which is useful if you're connecting a soundboard or guitar, for example, directly. Again, you'll need to use a mic adapter. The real-world results from the onboard mics in the HERO5 Black were a big disappointment to many users. The results were often muffled and noisy. Unfortunately, I've not found any improvement on this score with the HERO6 Black. You'll still get vastly improved sound quality by using an external microphone. Both use the same USB-C connector for charging and data transfer. Both have the same micro HDMI (Type D) socket for connecting video devices. USB-C and HDMI ports. The doors have their own waterproof seals. The port door is removable, which makes it compatible with accessories like the GoPro Karma Grip / Karma Drone. I've yet to find any HERO5 Black accessory that doesn't work with the HERO6 Black. Because they both share the same case, the same housings and accessories that connect externally will work. That includes all mounting accessories as well as ones that attach to one of the ports, like the HERO5 frame for the Karma grip. I've been using batteries that came with the HERO5 Black in the HERO6 Black without any issue, and vice versa. And the options for remote control--REMO, Smart Remote, and the GoPro mobile app--all work the same way on both models. There are, however, a number of HERO4 (and earlier) accessories that won't work with the HERO5/6 design. Here's a rundown. You can find digital versions of the instruction manuals here. In releasing the HERO6 Black, GoPro's emphasis appears to have been migrating to the new processor rather than introducing new features. That seems to have gone mostly but not completely smoothly--I'm seeing more lockups and glitches with my HERO6 Blacks than I've seen on my HERO5 Blacks (hopefully these are bugs that can and will be fixed in firmware updates soon). With that migration done, and now that they control more of the camera's core components in-house, it presumably creates a solid foundation for future models. Despite a completely new processor inside, the updates from HERO5 Black to HERO6 Black are mostly incremental. There are real improvements, to be sure. The new top-end video modes of 4K60 and 1080p240 will certainly be useful to some users that want super-high resolution or are planning on creating high-def slow motion. And, overall, there are improvements on a number of fronts, from photo image quality to the effectiveness of the onboard stabilization, to video quality. But if you already own a HERO5 Black, those might not make compelling cases for many users to upgrade. And then there's the bump in price. When the HERO5 Black was released, it had an MSRP of $399. GoPro has set the HERO6 Black's MSRP at $499, a 25 percent increase (it's also a return to the level that the HERO4 Black was released at). You can find them at Amazon and B&H Photo. Here's are the detailed specs of the HERO6 Black's video modes. Unless you need something specific that's in one of the models, I'd go with whichever you can find the best deal for. There have been improvements with each of the models, but the updates aren't that dramatic for most users. If you're shooting a lot of action sports, the better video stabilization in the 7 is probably worth it. And if you're shooting a lot of slow-motion, the 7 has more capabilities in that area. But for casual everyday use there's not really anything that screams out for needing the latest and greatest. So I'd go with whatever I could find the best deal on. One deal I'll mention that you won't see in stores is that GoPro.com currently has a tradeup deal where you can use any old digital camera you have lying around, whether it's working or not, to trade in and get $100 off the HERO7 Black (you can find it here. That brings it down under what I've seen the HERO6 Black available for at the moment. And you can find the HERO5 Black for significantly less again (eg. $215 at B&H). Depending on how comfortable you are with messing with camera settings, it might also be worth looking at something like the HERO7 Silver. It doesn't have the same bells and whistles of the Black, but being simpler to use can also be a virtue. I've got a more detailed breakdown of what it does and doesn't have here. I want to get a camera that can multi-task.I take a lot of photos and videos of my family. Currently using a Canon pocket digital camera and my mobile phone. The problem I faced is that I always behind the camera and not in the photo/video. I intend to do some instructional/educational indoor and outdoor videos with this camera in the near future. Therefore I need one where I can handle on my own, especially the outdoor videos. And it has to come with a good mic. Should I stick to my Canon digital camera or migrate to GoPro? Will the Hero 5 be enough for me? Or I should go for the Hero 6? From what you describe, it doesn't sound like the GoPros add much to what you have. 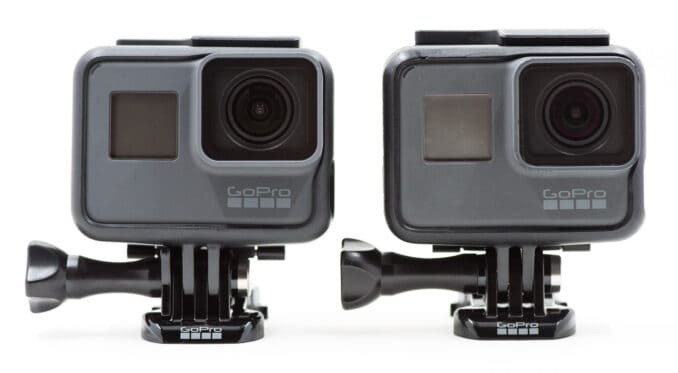 But if by outdoor you mean in situations where the camera might be wet or dusty, then the GoPro likely adds something useful (although there are other more traditional style cameras that also have that, such as these). 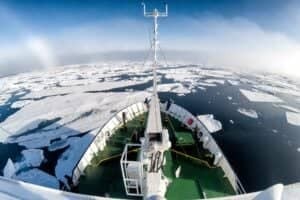 There are several considerations when you're coming from a traditional compact camera to a GoPro, such as the reduced battery life and the very wide-angle perspective. I go into more details on those here. Neither the HERO5 Black nor the HERO6 Black has stellar audio quality with the built-in microphones, so you'll probably want to add an external one. In most cases, the camera won't be waterproof while you have the external microphone plugged in because you have to open a side door. In terms of features, based on what you describe it doesn't sound like the 6 would offer many added benefits for your use. It is overall a better camera, but the improvements are incremental, and you can find good deals on the HERO5 Black now. All that said, there are times that GoPros really shine for family photos and videos. I just got back from a family beach vacation and got some really fun shots with the HERO6 Black that I couldn't get with other cameras (I had about 8 other waterproof cameras on hand for testing too, so it's not like I didn't have other options). It's just that you do have to work around their quirks and limitations. I'm looking to use a camera to shoot video while on my fishing kayak. The camera would be mounted to my kayak. Not sure if the Hero 6 is that much better at stabilization than the Hero 5 for the extra money? Should I just go for it and purchase the 6 or is the 5 going to be better all around? Not looking for super high def so I feel 1080P is pretty good. Can you advise? If it was me, I'd probably go with the HERO5 Black, mainly because you can find such good deals on it right now. The HERO6 Black is a better camera, but I doubt you'll see much difference in the stabilization for that kind of use. The HERO6 Black is, overall, a better camera than the HERO5 Black. But the improvements for the user are mostly incremental. But you're right that one area that is better is the built-in stabilization. Not sure if you've already seen it, but I have some side-by-side examples here. That said, there are two areas where the HERO5 Black currently has the advantage. The first is that, at least in my experience, it doesn't lock up as much. It's not an issue I've run into a lot with the 6, but it is an issue nonetheless. The second is that there are some very good deals on the HERO5 Black around the place which make it very attractive. I'm not sure that really helps you get closer to a decision, but just my 2 cents. Both are good cameras, and it's not really a slam dunk choice either way. I am looking to buy a new GoPro after my HERO4 Black was water damaged. I tend to use my camera for outdoor activities. From the research I've done so far what has me inclined to buy the 6 over the 5 is the improved stabilization. I am hoping that my next purchase lasts me a while so I don't mind a spending a few extra bucks if you believe it is worth it? Hi David, found your article very helpfil. 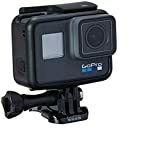 Want to buy go pro for shooting adventure video like hiking, rafting and publishing it on youtube. Which go pro will u suggest 5 or 6? While the HERO6 Black does some things better than the HERO5 Black, the differences are relatively minor. And you can find some really good deals on the HERO5 right now. For the type of usage you describe, I can't think of a compelling reason not to go for the HERO5 Black if you can find a good deal on it. I am looking at upgrading from a Hero 4 to either the Hero 5 or 6!! I am about to embark on a backpacking trip around South America for 9 months where I will utilise the GoPro for multiple purposes. Mostly though, I will use the GoPro to take pictures of the landscapes when hiking and sightseeing, as well as video when diving/snorkelling. I am interested in particular in the zoom capabilities when taking still pictures! This isn't a function available on the Hero4 which I have at the moment. Could you tell me a little more about the zoom function and how it works?? Also, what are your thoughts based on my needs above re. Hero5 vs. Hero6? Given I will mostly use the GoPro for still photo's / selfies etc. - I am thinking based on your review the Hero5 may suffice!? Your thoughts would be greatly appreciated! The zoom is a digital zoom, not an optical one. So it's basically a glorified crop. It's more useful for video because the output stays the same resolution, but you don't magically get more detail as you zoom in as you would with an optical zoom. While the HERO6 Black is, overall, a better camera than the HERO5 Black, the difference isn't huge, and if you can find a good deal on the HERO5 Black I suspect that will meet your needs nicely. I am planning to buy a go pro as a gift, not sure to get the 5 or 6. The person using it does like high quality image and loves slow mo everything, but will not use it too much. Probably more for holidays or special events. Maybe a few hikes even. I am concerned about the bug and freezing issues that i have read online though... Suggestions? While the HERO6 Black is a slightly better camera, there are such good deals on the HERO5 Black at the moment that it's pretty hard to justify the extra expense. So for most of what you mention I'd probably lean towards the HERO5 Black. But it depends how serious they are about slow motion, because the HERO6 Black is better for that. Specifically, it has a 1080p240 mode, which retains excellent quality even when slowed down 8 times or more. 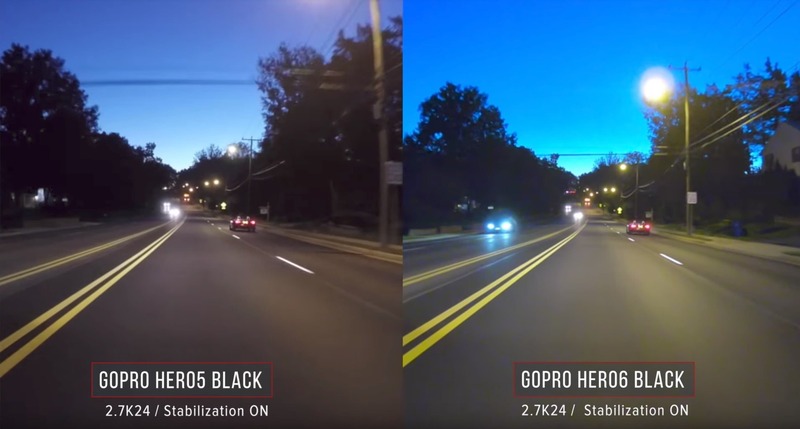 The HERO5 Black tops out at 1080p120, which is half as fast (so you can slow it down 4 times for the same quality). So they can both do excellent slow motion, but the HERO6 Black is a bit better at it. As for the freezing issues, while I do run into it from time to time and it is frustrating and shouldn't be happening, I haven't found it to be so pervasive as to cause major disruption for me. I am planning to buy a Go pro but I’m undecided which one to get, the hero 5 or 6. This is going to be my first Camera and i’m not sure if the hero six worth it for me or the five it’s good enough since I’m new with this camera. I just want them to record or take pictures of the panoramic views when I’m hiking or Walking on the beach. If you find a good deal on the 5, I suspect that will meet your needs nicely. The improvements on the 6 probably aren't things you'd notice for that kind of use. Great write up. Only thing I would say is the comparison gets a little confusing because the products switch columns in the comparison. And I think the 4K fps and 4k 4:3 checks for FPS are switched around on the Hero5 column. I completely botched that comment haha. Sorry! Hopefully my horrendous redundancy isn't too confusing. hellloo im planning to buy gopro..
can you suggest what type of gopro would be? gopro 5 is less cheap than gopro 6 .. Sorry, but that's not really enough information to go on. Different models are better fits for different people and uses. I've put together a number of posts on this site comparing different models, and they should be a good place to start. Thank you for an excellent site with detailed reports! You mentioned that you were experiencing more glitches with the Hero 6's than the 5's. Would you mind giving more details on what type of glitches took place? Did they in any way prevent/prohibit recording? I need to be 100% confident that I can get the shot - so glitches of this nature would be a definite issue for me. They're random lockups. I don't see them often, but I see them more often than I should. I haven't been able to narrow down circumstances that cause them. I'm not the only one--there are quite a few reports from other users elsewhere of similar lockups. Hi, I dont know what to choose between gopro 5 or 6? Im just a casual user more on pictures and a little bit of video. Leaning forward to the hero 6 but theres a good deal on hero 5 with almost all accesories included like sd card, extra battery, etc. Whats your advice? Will gopro company will still support the hero 5 in the next few months or year? There are improvements with the 6, but they're not huge improvements. So if you can find a good deal on the 5, that makes a pretty good way to go. I'm looking to buy a go pro to mount on the front of my sailboat so I can video my practices, I'm not sure if I should get the 5 or 6. Leaning a bit towards the 5 because it is the cheaper one, but I think the stabilization and quality might be worth the more money since the boat is pretty shaky. The stabilization is better in the new model, but it might not be especially effective with the kind of movement you get on the water when sailing. The quality is also better, but it's only a slight difference. I would think that for that kind of thing the 5 would be a good bet, especially if you can find a good deal. 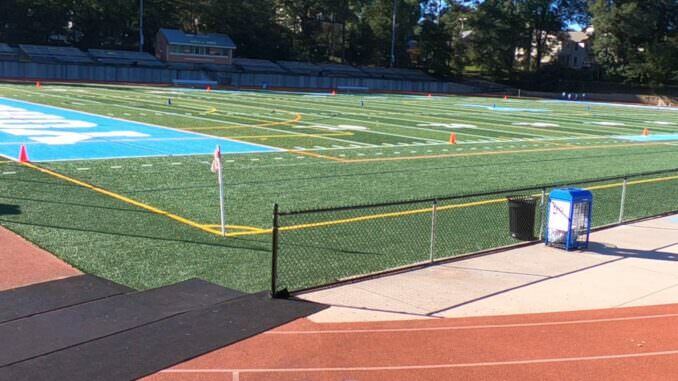 Thanks for posting this excellent comparison and your review of the Olympus TG-5 as well. Am curious, between the TG-5, the Hero 5 and Hero 6, which would you take on an island hopping trip in SE Asia with some snorkeling, maybe some diving, hiking and time on the beach? I have a full frame camera with 4k but might leave it at home or at least in the hotel given the high water and humidity exposure. Also, how well does Quik/Quik Stories work? That's one of my main draws, which is the greater ease of video editing over other video cameras. I edit my own photos but don't have the time to do serious video editing of trip videos. You could get great photos with both, but if I had to choose only one for something like that I'd go with the TG-5. Firstly, it's much more flexible in the type of photos you get. What I mean is that the perspective of the lens is more traditional, and the zoom adds a lot more flexibility. The super wide-angle of the GoPros isn't a good fit for a lot of photos, and while there are ways to correct the field of view or even switch it to a less distorted view, it's still far more limiting. Secondly, the battery life of GoPros is something you'll be constantly battling while traveling. Thirdly, the image quality of the TG-5 is better. 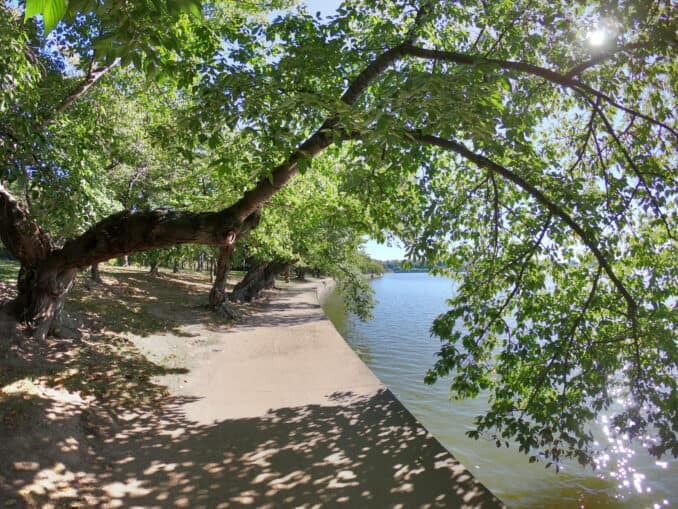 In bright, sunny conditions, the image quality of still photos out of GoPros is pretty good, but there's a fairly narrow range where that's true. The TG-5 isn't perfect--I've been underwhelmed by its low-light performance, for example--but it's better in a wider range of conditions than the HERO6 Black's. But you're right: the Quik capabilities sure are convenient and are a very handy way to share things while on the go. I tend not to use it that much myself, but I've found it to work pretty well. Not sure if you've already seen it, but I've also put together some thoughts on pros and cons of using a GoPro as an everyday camera. I am planning to buy a go pro. Which one? Not sure. I don't take a lot of slomo. Should I get hero5 instead of hero6? If you don't need the high framerate settings for slow motion, there's not all that much between the cameras. The 6 does have better stabilization and improved image quality, but it's not a game-changing improvement. You can find good deals on both cameras at this time of year.